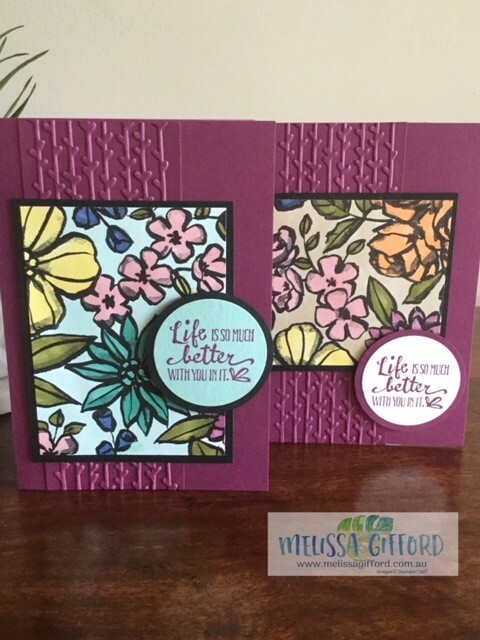 Melissa Gifford - Independent Stampin' Up!® Demonstrator: Life is so much better with you in it. Is that not the most beautiful saying? I just love it! So much so, it features on all 3 of my cards today. 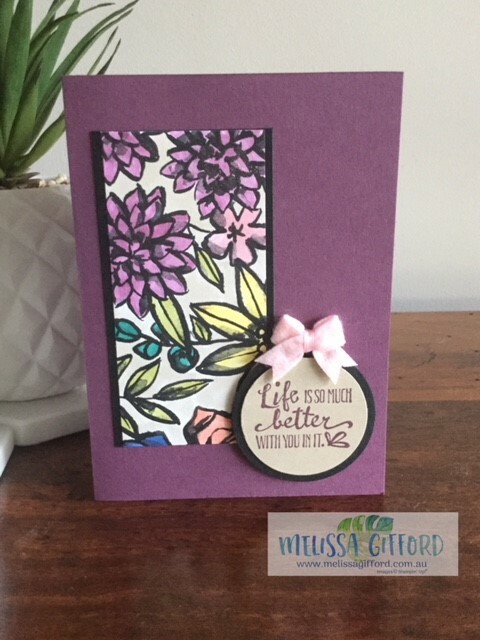 I had some leftover pieces of the petal passion designer series paper that I coloured with my blends a few weeks ago so I decided to make some quick cards for my stash. Unfortunately the blends were a bit too popular so they are unorderable at the moment but we are hopeful that they will be back in May sometime. So simple and so pretty!! I love that you can get this effect from a pack of black and white designer series paper. Click on the thumbnails below to head over to my shop.